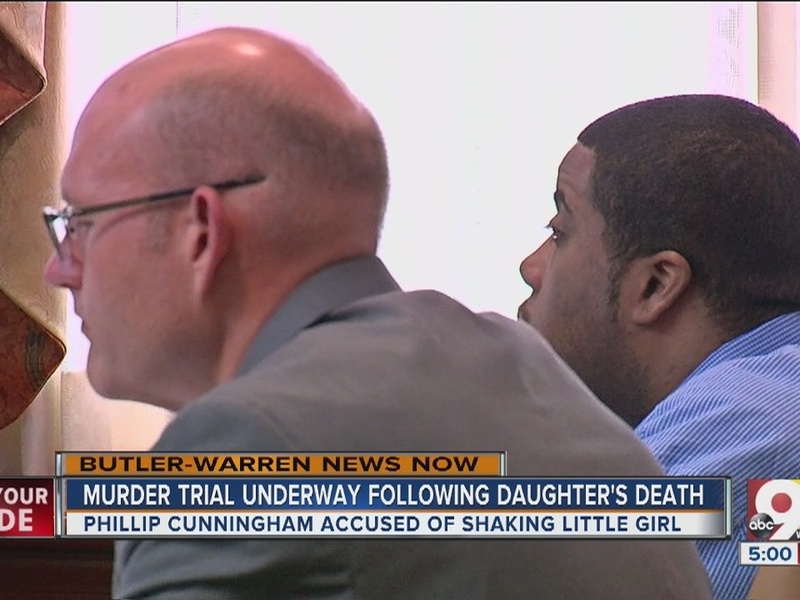 BUTLER COUNTY, Ohio — Butler County prosecutors say Phillip Cunningham shook his infant daughter on the afternoon of July 20 so hard that it fractured her skull and led to hemorrhaging that caused her death. The Hamilton man’s defense attorney says the baby’s death was caused by an accidental fall. The murder trial of Phillip Cunningham began Monday in Butler County Common Pleas Court. Cunningham, 27, of Park Avenue, is charged with murder and child endangering for allegedly causing the death of Shanyla. 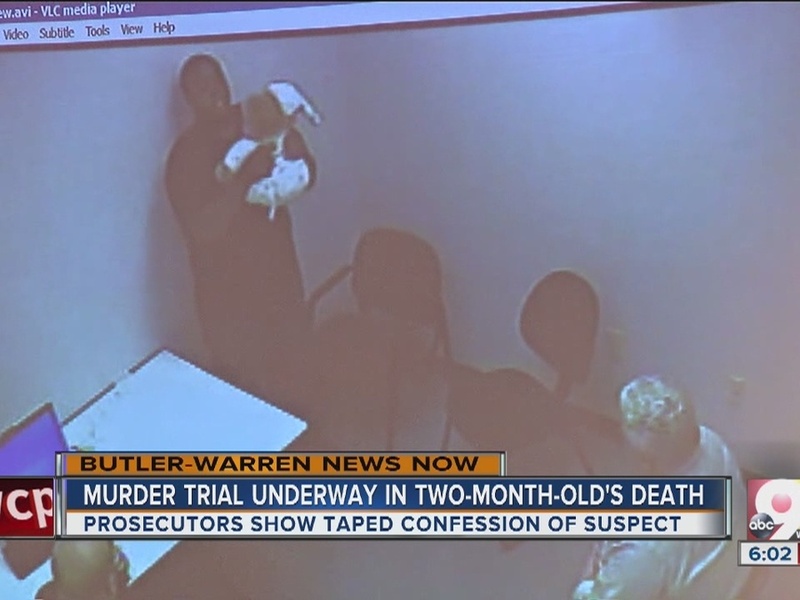 Butler County Assistant Prosecutor Brad Burress walked in front of the jury box holding a photo of the infant, who weighed 14 pounds and was 2 feet long at the time of her death. Burress said during opening statements that the jury would hear and see a tape of Cunningham describing shaking his daughter for a minute and a half at half his strength when she still cried after a fall. “You will hear him say, ‘I was frustrated because she wouldn’t stop crying,” Burress said, according to The Journal-News . Medical experts will testify about Shanyla’s injuries, including retinal hemorrhaging and two skull fractures that the baby suffered will under the care of Cunningham, Burress said. The child’s mom, Shonnon, was not home when the incident occurred, but Shanyla’s toddler brother was. Defense attorney Jeremy Evans said during opening statements the baby’s death was an accident caused by a fall. “While tragic, this young lady’s death was caused by an accident … a fall,” said Evans. The infant fell from Cunningham’s arms as he reached to stop his toddler from falling from the couch, Evans said. “Her head hit a hardwood floor,” Evans said, according to The Journal-News . The trial continues Tuesday in Judge Jennifer McElfresh’s courtroom.